By using Phoenix Airwaves Monthly Campaign and the https://plasso.com/s/Vt9XstS29k/ web site ("Service"), a service made possible by Plasso, Inc. - plasso.com - ("Plasso"), you are agreeing to be bound to the following terms and conditions ("Terms of Service"). (1) The Advertiser agrees to pay for the broadcast services provided by Phoenix Airwaves at the rates and on the terms set out in this Contract. All amounts due at any time under this Contract are payable in advance (by the full or monthly payment options available at www.phoenixairwaves.com.au). All advertising packages are run on a 12 month term. (2) Phoenix Airwaves reserves the right to refuse to broadcast any content and/or materials which may be deemed at its discretion to be unsuitable for broadcasting or which may contravene any applicable laws, regulations, rules, orders or policies. (3) The Advertiser will indemnify and hold harmless Phoenix Airwaves, its agents, servants, directors, officers and employees against all actions, proceedings, claims, demands, liabilities, damages, costs and/or expenses including any legal fees incurred by Phoenix Airwaves to prosecute or defend against any actions, proceedings, and/or claims commenced against it or threatened to be commenced against it or for any legal advice obtained for the purpose of dealing with the threatened claim, action, proceeding or demand caused or resulting from, or arising out of, the recording or broadcasting of any advertisement made pursuant to this Contract including, without limiting the generality of the above, any liability, damage, cost or expense arising from any claim or threatened claim for defamation, copyright or trademark infringement or invasion of any rights of privacy. (4) At least 7 days prior to the commencement of broadcasting of the advertisement in accordance with this Contract, the Advertiser shall supply to Phoenix Airwaves all materials required by Phoenix Airwaves for the broadcast of the advertisement. (5) Phoenix Airwaves shall not be liable to the Advertiser for damages if for reasons beyond its control (including, without limitation, any labour dispute, mechanical conditions, public emergency or necessity, a direction or order of a federal, provincial or municipal authority body or agency or an act of God, e.g. flood, earthquake) it fails to broadcast the Advertiser's advertisement in accordance with this Contract. However, Phoenix Airwaves shall make best efforts to provide an alternate substitute radio broadcast service by means of digital in the region to the Advertiser under similar or varied format at rates and conditions set out this Contract. (6) This Contract is in all respects subject to all applicable federal, provincial and municipal laws, regulations, orders, directions and policies pertaining to radio broadcasting now and hereafter in force. (7) Phoenix Airwaves reserves the right without notice to the Advertiser to change its programming schedule in order to broadcast another program in place of the program originally scheduled for the time period in which the Advertiser's advertisement is to be broadcast. 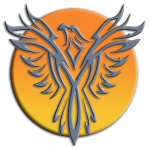 In the event of such change, Phoenix Airwaves agrees to use reasonable efforts to ensure that the substitute program is of a similar quality to the originally scheduled program. (8) Phoenix Airwaves reserves the right without notice to the Advertiser to change the scheduled time of any of the Advertiser's advertisements to permit the broadcast of any event of public importance. In addition, Phoenix Airwaves also reserves the right to pre-empt Advertiser's rotational spots, with priority given to the higher-priced and fixed program spots, if airtime is fully sold in that particular time, zone. In such event, the deferred advertisement shall be broadcast as soon as possible after the originally schedule time. (9) For the reason of a natural disaster, flood, earthquake or an act of God, etc., Phoenix Airwaves will have the right to change its programming schedule and formats in any way it deems necessary in order to provide a service required at the time. In the event of such change, the contracted rates shall remain valid for the broadcast services being provided. (10) The Advertiser shall not use any advertising material produced or otherwise prepared by Phoenix AIrwaves, alone or in conjunction with the Advertiser, in any other radio broadcast or other form of telecommunication without prior written consent of Phoenix Airwaves. This includes, but it not limited to, written scripts, voice tracks, music tracks, and/or any combination of the disparate elements. (11) This Contract shall be governed by the laws in force from time to time in the State of Queensland.